America's Favorite Boat Ride™ since 1945. Established in 1945, we're proud to be in the business for over 70 years. At Circle Line, we like to think that we’ve perfected the fine art of the New York City sightseeing tour. Since first opening in 1945, have hosted over 60 million passengers on our cruises. Today, we’re the only cruise company in New York Harbor exclusively dedicated to sightseeing with boats specifically designed to let you see as much as possible in any weather.  Our dedication to offering the best possible NYC experience has earned us worldwide recognition as one of the best boat rides in the world. The opening of the Harlem Ship Canal makes circumnavigation of Manhattan Island possible for the first time. A steamer named The Tourist, piloted and owned by Captain John Roberts, offers the first sightseeing cruise around Manhattan. Frank Barry, Joe Moran and other partners merge a variety of competing boat ride services to form the Circle Line Company. Circle Line Sightseeing Cruises expands its fleet to include larger vessels that have the ability to complete the 35-mile cruise around Manhattan in under three hours and also fit through the narrow waterways and under all bridges along the route of the Harlem River. Circle Line Sightseeing Cruises moves from Battery Park uptown to Pier 83 at the foot of West 42nd Street at the Hudson River. Shortly after carrying its 10 millionth passenger, Circle Line renovates Pier 83 with the help of the City of New York and a $3 million rehabilitation program, resulting in a two-deck concrete structure with parking spaces, corporate offices and loading berths. April 1985: Happy Circle Line Day! Mayor Ed Koch proclaims April 23rd as Circle Line Day in connection to our 40th anniversary The New York Fire Department uses environment-friendly dyes to spray the Hudson River green and red in honor of Circle Line's colors. Circle Line acquires World Yacht, Inc., a fleet of five modern, luxurious, world-class yachts that provide the perfect setting for a romantic escape, special event or corporate retreat. Circle Line launches Notable New Yorkers, a series of sightseeing tours narrated by some of New York's notable natives, such as former mayor Ed Koch, author Tama Janowitz and restaurant guide editors Nina and Tom Zagat. Circle Line unleashes The Beast, a custom built, 70-foot offshore racing power boat to take passangers on a wild ride toward the Statue of Liberty and through New York Harbor. On September 11th, 2001, Circle Line Sightseeing suspends normal sightseeing operations and volunteers their services and vessels to transport over 30,000 workers and visitors safely to New Jersey. Circle Line holds a naming ceremony in celebration of the new Circle Line Manhattan vessel where Whoopi Goldberg is honored as godmother. Circle Line is part of the first responders to arrive on January 15, 2009, when U.S. Airways Flight 1549 landed in the Hudson River. Due to the pilots' remarkable emergency procedure, each passenger and crew member is heroically rescued. June 20th, the Circle Line Brooklyn and Circle Line Queens embark on their maiden voyages. To christen the occasion, Circle Line hosts a celebratory carnival and block party. Circle Line reaches a million passengers for the first time in one calendar year.  New York Cruise Lines, home of Circle Line Sightseeing, acquires New York Water Taxi from the Durst Organization, strengthening our fleet and expanding our marine-based sightseeing, entertainment, transportation and dining businesses.